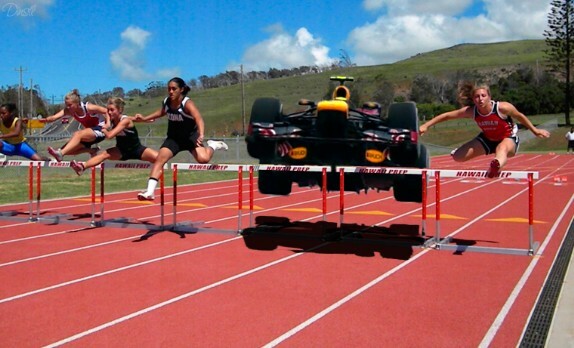 We all know Webber is a fan of sport so what do you do when driving a Formula 1 car is just not enough anymore? Hurdles naturally! As TJ13 continues to strive to be the most diverse and most complete Formula One website, there comes the need for growth from within. In a recent discussion between myself (Adam) and John we considered the idea of an odds analysis page comparing the available prices from a range of markets prior to a race weekend. As an introduction to this we have our first analysis piece looking at the Australian GP, prior to the final test in Bahrain. According to SkyBet and WilliamHill, Mercedes are now the favourites to claim the constructors title in 2014 as the RBs chances slowly slip away. This will come as little surprise, but with odds of 6/5 on offer they seem a very good price. According to WilliamHill, Lewis Hamilton is now equal favourite to take the chequered flag in Melbourne at 10/3, the same as Sebastian Vettel. One surprise in the odds for Australia though is Nico Rosberg, being priced at a hefty 8/1 to win. While many expect the Briton to come out on top in this teammate battle, 8/1 seems an outrageously long odd to offer. The brave hearted of us would see this as an ideal opportunity, especially as he is offer each way (places 1-3) at 1/5 of the price. Effectively giving him a price of 1.6/1 for a podium on March 16th. Those who are devout Kimi fans will have read the news of Kimi once again making Maranello his – so at 12/1 he is a very good outside bet for the WDC. So even if only figuratively, who will you be placing your money on? As the 20th anniversary of the death of one the best, if not the, best drivers in Formula One ever approaches, Brazil is getting ready to honour the occasion in style. The late great Ayrton Senna is not being forgotten in his beloved South American home. In one of only a handful of celebrations which don’t base themselves on the World Cup to be held in the country this year, the festival will tie in nicely with the start of the 2014 F1 season. Race promoter Oleg Zabara has said the track is coming on well and will be ready in time for the Grand Prix later in the year. Only days since the Winter Olympics drew to a close, the focus has firmly shifted on towards the Formula One race. He said, the track is “91 per cent complete” as he sought to reassure the relevant parties all preparations were developing at an appropriate pace. German track designer, Herman Tilke agrees, “Everything is on schedule. There will be a very special and definitely unique atmosphere.” Would this be the unique atmosphere which is enjoyed in Abu Dhabi/Bahrain/etc? Of course this track does have the potential to be different given it is set in the Olympic Park and will occur at the sharp end of the season, but can his words truly be believed? Given Zabara has signed a 3 year contract with the former Abu Dhabi mastermind, Richard Cregan, we can expect to see much of the middle east ‘wonder’ to be in Russia as well. There is one significant positive though, as the track is reported to be costing around a quarter of that of Abu Dhabi. Ecclestone is already proposing the Russian GP become a night race from 2015. Apparently all the sparkling lights at the opening and closing ceremonies have dazzled F1’s supremo who feels the current surroundings for the F1 track are rather “shabby”. Ironically, Abu Dhabi is next up to host the Winter Games. It remains to be seen whether Sochi will be able to claim the ‘best GP of the year’ as Abu Dhabi did in 2009, it’s inaugural year. Just as Renault’s problems mounted, the troubled F1 engine supplier’s track boss Remi Taffin was rushed to hospital. Blogf1.it reports that the Frenchman missed the first week of testing in Bahrain, where Renault’s V6 ‘power unit’ crisis continued to unfurl, because he had to have his appendix removed. The report said Taffin is now recovering. It is an awkward time for Renault Sport, mere days before performance development of its troubled 2014 ‘power unit’ is mandatorily frozen by the FIA. Clearly, the Mercedes-powered teams Mercedes, McLaren, Williams and Force India – in roughly that order – are leading the pack. It is said Ferrari is next best, but Germany’s Auto Motor und Sport repeated paddock rumours that the Italian marque is taking a very cautious approach to the revolutionary new era and could have plenty of performance still up its sleeve. France’s L’Equipe quotes Ferrari driver Kimi Raikkonen as admitting: “Our laptimes are so far not very impressive, but we will see where we really are in Australia. On reliability, everything is fine, but on performance, we don’t know too much, although I don’t think it’s bad,” said the Finn. For Renault, however, it could be a matter of a substantial amount of time, with world champion Red Bull’s Dr Helmut Marko admitting the current situation is “not pleasing”. Auto Motor und Sport claims the current laptime gap between Mercedes and McLaren, the leading Mercedes-powered teams, is nine tenths. But Mercedes team chairman Niki Lauda suggested the Brackley team might simply be having a smoother time in the winter amid the sport’s radical transition phase. Sebastian Vettel’s manager has denied the reigning world champion is involved in a possible buyout of the Nurburgring. With the German grand prix venue’s future uncertain, we reported last week that F1 chief executive Bernie Ecclestone is no longer a candidate to buy it. Ecclestone had confirmed in January he made a bid for the financially-troubled track. 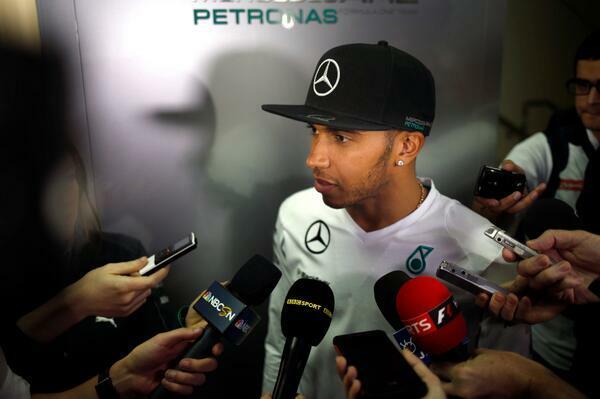 “We want to make sure there is a formula one race in Germany every year in the future,” he said. But last week, it emerged that Ecclestone was not among the latest candidates – entities from Dusseldorf and the US, and a private equity firm – in the running to buy the Nurburgring. Germany’s Sport Bild now reports that German driver and reigning world champion Vettel could be involved in a Nurburgring buyout bid. The current bidding process will reportedly conclude at the end of March. Felipe Nasr’s uncle and manager insists the Brazilian is the “real third driver” at Williams this year. The comments made by Amir Nasr, a well-known figure in the world of Brazilian motor racing, follow news Susie Wolff will drive the new Williams on Friday at both the British and German grands prix this year. Just days earlier, the Grove based team appointed the Banco do Brasil-backed 21-year-old Felipe Nasr to the test and reserve role, saying he will appear in the Mercedes-powered FW36 on five Friday mornings in 2014. Speaking to Jovem Pan radio, Amir Nasr played down suggestions Felipe’s new role could be a shared or back-seat one, such as when Lotus reserve Davide Valsecchi last year was overlooked when Kimi Raikkonen headed for back surgery. 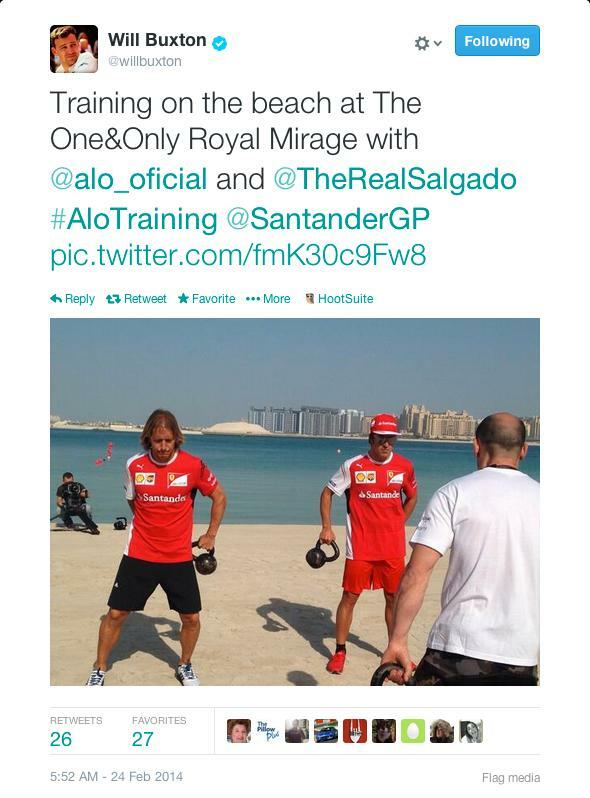 “Felipe is the real third driver of the team — it is in the contract,” Amir Nasr insisted. “In case of any problem with the race drivers, he is the natural replacement. He will have to go to all of the grands prix and he will work in the simulator each week to compensate for the lack of track time. It is a more complex task than it seems,” Amir added. Amir Nasr said only a one-year contract with Williams was agreed because the chance the British team can offer him a race seat for 2015 is slim. “Williams has two very good (race) drivers,” he said. “Massa has a three-year contract while Bottas is 23 and a potential world champion. “We could not agree a longer contract because we would not have a guarantee he will be promoted,” Amir explained. Kimi Raikkonen’s newly-healed back withstood a hefty shunt as the first week of Bahrain testing came to a close. What happened on the last day of Bahrain testing on Saturday was a sizeable crash, causing plenty of damage to the new red single seater. However, it caused no damage to Raikkonen’s back. “The back has been quite ok since the surgery,” Raikkonen told the Finnish newspaper Turun Sanomat. The latest ‘worst kept secret’ in F1 is finally over. TJ13 reported last year that Rob Smedley would be moving to Williams prior to the announcement of Massa as their driver. I was informed the role on offer was not as race engineer, but of greater responsibility. Today Williams announce they have bolstered their senior race operations line-up by appointing Rob Smedley and Richard Lockwood from Marussia. They have created a new role entitled, “Head of Vehicle Performance” to strengthen the trackside team and which liaises with the factory over development work in an effort to extract more performance from the car throughout the season. Rob’s proven track record and experience stand him in good stead for the challenges that 2014 bring. Rob will join Williams prior to the Bahrain Grand Prix. Rob will be supported by Race Engineers Andrew Murdoch, who is engineer to Felipe Massa, and Jonathan Eddolls, who remains with Valtteri Bottas in 2014. Richard Lockwood will be given responsibility as “Head of Race Strategy” and will work with current Strategist Randeep Singh who remains with the team for the 2014 season. TJ13 reported more than once that the team had suffered internal political difficulties under the management of Mike Coughlan which culminated in Mark Gillan – one of the architects of Williams 2012 renaissance – leaving the team suddenly for “family reasons”. James Allen further observes that Coughlin’s stewardship saw a “disastrous technical foray” for the team as they failed to grasp the intricacies of the exhaust blown diffuser technology. The result was they “paid a heavy price, given how far ahead of the game their then engine partner Renault was in that technology”. Symonds of course is no angel – as we all know – following the revelations of his involvement in Renault’s “crashgate” affair which saw Nelson Piquet Jnr deliberately put his car into the wall in Singapore. Yet at times the team from Grove appear to be “very nice” and Sir Frank of course is the ultimate gentleman. So, maybe ‘bad boy’ Pat will bring some edge to proceedings and we’ll see Williams with its elbows out a little more during the coming season. The team this year have a nicely balanced driver line-up with the experience of multiple GP winner Massa and young gun Bottas at the wheel of the FW36. Many felt the loss of the PDVSA dollars would prove costly for the historic British racing marque, however recent announcements that Brazilian oil giant Petrobras will be rejoining the team after an absence of several years appears to have mitigated their divorce with the Venezuelan’s quite nicely. Add to this new sponsorship from Banco do Brasil, whose logo appearing on the engine cover of the car, as well as the drivers’ overalls, means the Brazilian investment is a serious amount of cash. Then on March 6th, the team will unveil its new Martini livery at a ceremony in London’s West End around the time Ron Dennis announces the McLaren team principal for this year. Things are on the up at Williams both in terms of finance and the recruitment of experienced & skilled personnel. One has to wonder whether Pastor Maldonado must now be questioning the wisdom of the agitation he caused last year which resulted in him leaving the Grove based team for Lotus with their faulty Renault engine. Should we then return to the good old days where we race F1 cars alongside another Formula? Jaques Villeneuve is off to compete in the Indianapolis 500 some 19 years after he won the event. Villeneuve raced in the then Champcar series during 1994 and 1995 and won the 500 in his second season taking the drivers’ title that year too. He will race for Schmidt Peterson Motorsports, alongside Simon Pagenaud and Mikhail Aleshin. Now 43 years of age, Jaques will also be competing in Rallycross this year. It is unclear whether SKY Italia will be retaining Villeneuve’s services as an F1 commentator, however if anyone can find some racing series who will take SKY UK’s Jonny Herbert, please contact thejudge13 with the swiftest of haste. Maybe there should be a racing series for old F1 drivers, like the Seniors’ Tour in golf. It appears the producers of SKY F1 believe stacking their F1 presenting team with ex-racers is the way to go. Clearly this is not the case for us the viewers. F1 is a team event and the views of ex- team bosses/principal’s, car designers and even ex-race strategists would deliver a more complete analysis for the fans. There has been a lot of talk about F1 drivers and weight penalties for 2014. This picture from the twittersphere suggests that Fred’s – whilst not the largest – is taking the matter seriously. TJ13 first reported that there were new Qualy formats under discussion back in January before Jerez. Last week it emerged that there appeared to be a consensus on change. This is now the case and the FIA World Motor Sport Council will ratify this next week. Q1 will now last 18 minutes, two less than previously, whilst Q2 will remain at 15 minutes and the final top-ten shootout, Q3, will be extended by two minutes to 12 in total. The 16 cars making it through to Q2 will receive an extra set of option tyres for use should they make Q3. Those failing to progress will retain this additional set of tyres for use in the race. Teams in Q3 must use the extra set of options to set a time, but must hand them back to Pirelli. This is designed to ensure all cars in Q3 will attempt a quick lap. The Q3 teams will then start the race on the tyres they used to set their fastest lap in Q2. Over the years we have seen the top teams gamble and run the prime tyre in an attempt to get out of Q2 and save a set of options. This strategy is still available to them. However, they would then begin the race on the prime tyre. This may bring a benefit should the driver nail pole and be able to hold of the rest at the start, as they would begin the race on the more durable prime tyre they used in Q2- which will see them run longer before their first stop. However, starting on the prime at certain venues may not be desirable due to grip levels, and so the strategic option to use the prime in Q2 to save a set of the softer tyres for the race would then be null and void. There are times in life where stereotypes are indeed a perfect representation of reality. Today Sauber F1 released their annual environmental report. In 2012 Sauber F1 Team’s environmental management system was ISO 14001 certified. Furthermore the company has operated greenhouse gas neutral since 2011. Last year indirect greenhouse gas emissions were determined as well, in order to build a basis for the compensation. The ISO 14001 requires regular assessment of the environmental management system by the company’s management. This is done through the annual report, showing the results of the teams’ environmental efforts. The report is available to the public and includes environmental targets, measures and projects from the previous year as well as a summary of the most important results of the environmental-controlling and a list of targets for the current year. SKY F1 UK have announced they will be featuring an extended highlights package or full race coverage each day of 2014 beginning March 7th.This may appear no big deal in itself, but behind the scenes there has been some wrangling with Mr. E to drop the royalty fees. Sky argue this will promote F1 and it appears their argument has held sway. All of the races will be from 1982 onwards and there will also be themed weeks, with classic races to be shown of previous grands prix in the build-up to their 2014 installment. For the 3 days before they begin the Australia GP classics, SKY have asked viewers to nominate the “three Races of the Century” which they will then broadcast. Early voting suggests the fanbouys are out in force. Let’s see how differently TJ13 readers vote on the options sky have offered. Rubens Barrichello’s first F1 win, achieved from 18th on the grid in a dry-wet-dry classic which also featured a protestor running across the circuit mid-way through the race! The definitive driver duel in the first decade of the new century? Yes, it’s that battle between Mika Hakkinen and arch-rival Michael Schumacher featuring that overtaking move to clinch an unforgettable victory. A race that had it all – another track invader, two Safety Car deployments, and a breathtaking overtake for victory. No wonder the Silverstone crowd were in raptures. The comeback victory of the century so far? In an unforgettable finish, Kimi Raikkonen passes Giancarlo Fisichella on the final lap to prevail from 17th on the grid – and don’t forget about Fernando Alonso, complete with a pass around Michael Schumacher at 130R, claiming third from 16th! No explanation necessary – it’s the race of Felipe Massa’s heartbreak in front of his home support as Lewis Hamilton secures the title at the final corner. F1’s only four-way title showdown culminates with Sebastian Vettel securing his first World Championship as Mark Webber and Fernando Alonso miss out. In a topsy-turvy race, Lewis Hamilton clinches victory after a late charge from fourth to first sees him pass both Vettel and Jenson Button. The most epic of epic races with the sting in the tale as Button passes Vettel on the final lap having been listed as last midway through the grand prix! Who said Valencia only served up dull races? In front of his home crowd, Alonso triumphs from 11th on the grid in an action-packed race, while Michael Schumacher finishes on the podium for the final time in his F1 career. The classic title showdown. Vettel spins at the first corner but fights back to claim the title ahead of Alonso, while Button is victorious in the race after Nico Hulkenberg collides with Hamilton. Some may argue this is the most interesting thing Paul has ever uttered. The world champions have declared their hand for the final test in Bahrain. Clearly the favoured son of Christian and Herr Helmut gets the final two days in the hope the RB10 and its French powertrain will be ready by then to get a few laps in. McLaren have announced their schedule too. Rookie Kevin Magnussen will get days 1 & 3, whilst F1’s elder statesman driver – Jenson Button will drive on days 2 & 4. Force India have decided Checo should be the early bird – driving the first two days – though whether there’ll be any worms in the desert – he can only hope. Hulkenberg completes the Silverstone teams final 2 days of pre-season testing before they head off for what should be the most interesting Australian GP for years. As reported above, Rob Smedley is now officially to join his F1 sidekick, Felipe Massa, at Williams, though not as his race engineer. TJ13 thinks it’s time to put to bed the “….is faster than you” once and for all – but before we do, here’s a short clip from massafansite on Youtube of F1’s most visible bromance best exchanges. I thought I’d seen that reported too. Either a slow news day at GMM or they have the curse of the employing class – good help is hard to get. Then again why let the facts impede…. I’m sure it did get reported here as I hardly ever read any other news sites now:) It must have taken almost three weeks for everyone else to hear about it…. Make a reliable engine fast? Or make a fast engine reliable? Especially if you can only change the engine during the freeze to improve reliability. I’m not on the Renault bashing bandwagon. The big question is if they’ll be quick enough with their fixes for this year. I can understand there being ‘installation’ related problems at this moment; but I am absolutely gobsmacked that there are what I would call fundamental issues, if the stories of serious vibration problems from basic mechanical components are true. Well, they say you can make a fast driver do less mistakes, but you can’t make a reliable driver fast.Maybe the same goes for engines, who knows. One is for sure. Newey’s design is probably the best in terms of aero. If they had managed to package things effectively, even if Renault engines were not as fast as Merc or Ferrari, RBR would probably be the faves again. I don’t know what to think about Kimi’s words about the car, are they hidding something or just a little behind with the schedule?. According to James Allison Ferrari will push the car to the limit during the next tests, so we will know the answer soon. And clearly beyond the understanding of all F1 followers, then. It’s possible that Marko isn’t a patronising douche, but he certainly manages to sound like one. …or very likely he doesn’t understand everything himself and he does his usual job at putting most of the blame away from RBR. How long before he starts throwing excuses for Vettel’s performances? The consensus is that Alonso, Vettel and Hamilton are the top 3 drivers at the moment (not in this order specifically). Imagine if Kimi, Ricciardo and Rosberg beat them this year. Definitely possible in the case of Rosberg and Kimi and wouldn’t discard Ricciardo’s chances so easily either. Vettel will have his eyes on improving the car, trying to challenge, he will get frustrated by finding himself in uncharted waters. Ricciardo will only focus in trying to beat his quadruple champion team-mate. That will be his only ambitious aim for the year. 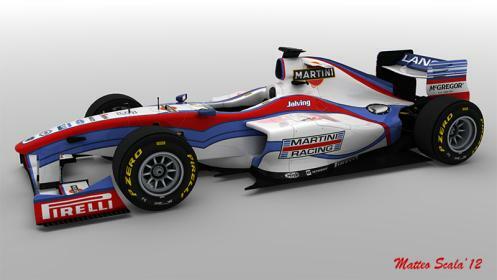 I can’t see Martini approving that Williams paint job….Yuk! Nah, the two previous ‘interpretations’ shown on this site before – with darker blue lines – we’re much, much nicer! Especially the one with the car’s number in a large circle near the rear of the side pod, if I recall correctly. If Maldonado hadn’t left williams wouldn’t have got the brazilian money. 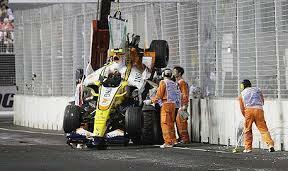 I dont usually have many bad things to say about drivers,but that Maldonado is a wrong-un. The way he praised himself to the heavens while badmouthing the team last season left a rather nasty taste,not to mention the intentional ramming of another driver the year before. This guy has a seriously bad attitude problem and looks incandescent with rage pretty much all of the time. Heres hoping he reaps what he sows. As long as you have your black handkerchief ready. I’m still suspecting Williams – on top of all money pooring in now – hid away stashes of PDVSA money because they wouldn’t spend it on Maldonado. Shame Lotus are stuck with him now. Shame only to the extent that the combined genii and he deserve each other. I have to keep reminding myself that there are obviously, despite the best attempts of the genii to deny them, some decent employees and brains lurking within Enstone. Is there the faintest of chances that Ron Dennis would announce that Martin Whitmarsh is being retained, under a short leash? I still find conspicuous that there is no official news on MW since all the brouhaha began prior to Jerez. It seems to me that MW under close supervision by Dennis and working along Racing Director Eric Boullier could be a potent force. I would like to see MW remain in a top role at McLaren. RD’s direct style of management can sometimes put peoples noses out of joint,MW reserved nature makes him the perfect buffer. 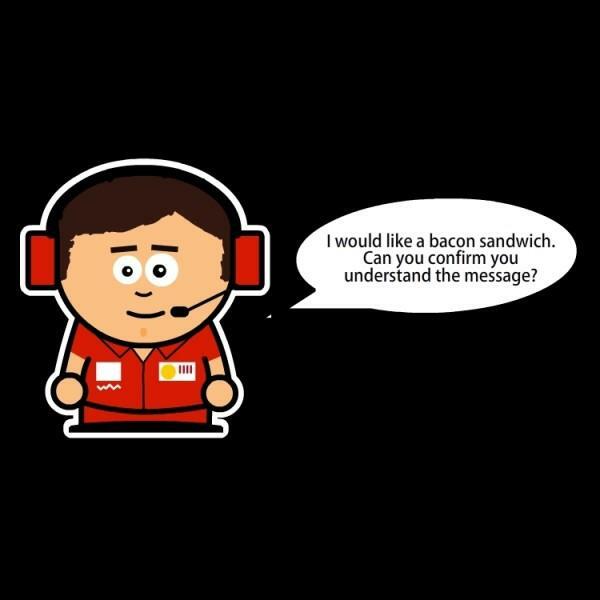 Ron has himself said in the past there is no one better at dealing with the drivers than MW. Or maybe Williams are planning to introduce him in a new livery as Martini Whitmarsh ? Maybe we should celebrate Whitmarch after Webbuary? … excellent idea – USHER!!!! what do you folks say to that ? redbull starting to cheat yet again. 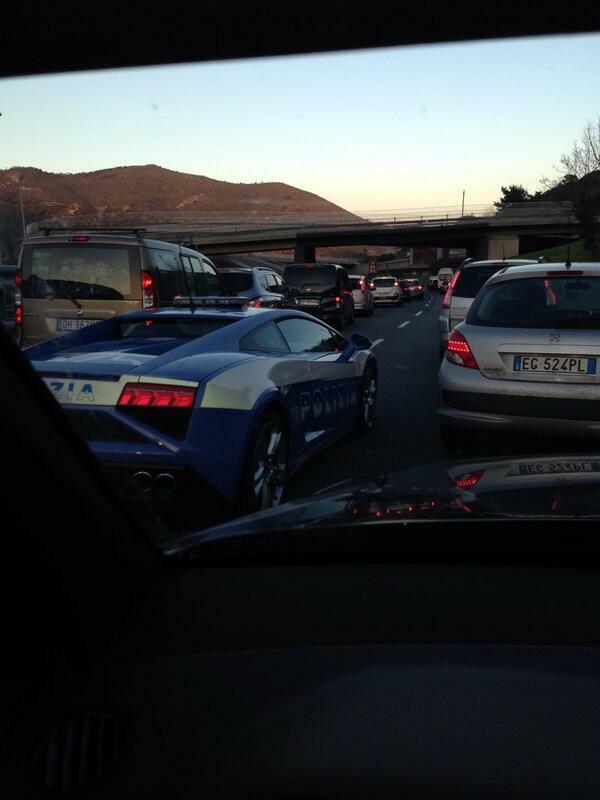 …I think Scarbs picked it up from a Spanish F1 writer – who has got it wrong…. I don’t get this new tyre rule. So say my car is the 4th/5th best on the grid. I can run the hard or soft tyre in Q2, finish around 11th/12th, and then I start the race with an extra set of soft tyres in my disposal? While had I qualified for Q3, I have to hand the soft tyre back? Wouldn’t that disadvantage a Q3 car in races where a 3-stop strategy would work best? I’m confused. Why Q2 cars get to keep the extra set and not maybe replace the soft tyres they used during Q2 with the new extra set? That would level the field. …because the FIA haven’t legislated that to keep the fresh option tyre, teams failing to get out of Q2 must use a set of options to keep the additional set…. This was a debate I was having in Jerez… though a certain someone who should know better couldn’t understand my point… the response was – that’s an additional strategic option – which I suppose is not incorrect…. … I know I’ve been up an Alp for a week, but I expected news on the 5s penalty I reported on back in January… did I miss something? The five second penalty is now in the sporting regs. The FIA updated the sporting regs toward the end of January. Thanks… Mmm… So they will be adding 5s at the end of a race to drivers awarded such a penalty after their final pitstop. Just give all Q3 cars an extra set only for Q3. Everybody starts on his preferred tyres. For the rest change nothing. I’d like to see someone (CVC or FIA) explain this new bungled Q rule to a casual viewer. On the flip side – aren’t we meant to be saving how many tyres everyone uses? If that’s not an issue anymore, then why not open it all up to 4 types of tyre, do what you wish… Or, realistically just give Q3 a Q set or scrap starting the race on Q tyres. My understanding is that set is then available to the driver for the race. In essence, after Q2, everyone who was in Q2 receives a set of options. Those who participate in Q3 can then bolt them on for Q3 if they want. You’ve raised a good point, it’s a strange rule. Yes! Please will someone take Jonny Herbert- I cant stand anymore of his bitter-ex-racer pink faced annoying loud pointless screechy-voiced ego anymore- PLEASE PLEASE PLEASE can we find a very remote island to airdrop him and Suzi Perry on? If they can’t capture Jonno I’ll take his place with the delightful ms perry on the desert island. No F1 talk though. She can chat away to her hearts content about bikes. But no F1 talk. … I think inferring she’s a specialist bike is rather pushing the boat out…. Did you mean bike specialist, or was that deliberate ? So did I Enzo, so did I…..
About that Race of the Century…what is with some of those choices? Of course Abu Dhabi 2010 was an important race, but who would want to sit through it in isolation? Out of context, Brazil 2008 wasn’t THAT exciting either…loads of races you could replace those with, I’d nominate Silverstone ’10 and Spa ’08 for intance. My vote would be Canada ’11, Brazil ’12 and Britain ’03. I disagree on your assessment of Brazil 2008. This is the only time ever that a championship has been decided in the last race, last lap, last corner! I understand that you’re trying to say though. But sometimes the race of the century is not the most exciting race, but the race that sticks in your mind for years to come even if the deciding or exciting moments are few. It’s the impact that this race has on fans and drivers alike. About it, it’s good to see how many great races where placed here at Interlagos. I hope the planned changes don’t affect the racetrack itself, that design and the crazy weather are amazing in generate good races. Brazil’s 2012 was amazing from my point of view. But why not Donington ’93? Oh, there are great options fom 2000 to 2013. I’ll keep Interlagos’12 (despite I wanna see the famous overtaking at Spa and the last 3 laps from Interlagos ’08 – including the Face of Massa’s father when someone told him what happened at ‘subida do Café). …. the poll running for the 1st 3 races SKY will show are races all from 2000 onwards…. but then again are they limited in which races they have access to coverage? or the ’71 Italian – or should that be any Italian GP before the chicane epidemic! Spa ’08 could be considered a glaring omission.. although controversy would follow it wherever it goes. …” Sutil completes the Silverstone teams final 2 days of pre-season testing”…. .Mmm. To be honest I’d have liked to see Sutil and Hulkenberg in the same car this year…. But where would their current teams(Sauber and FI respectively) be without the mexican money of Perez and Guiterrez?? I wonder if Hulk would beat Sutil or Perez more badly. But, if weight is an issue this year, then that could put Perez even or even with an advantage over the Hulk. Williams are a “historic British racing marquee”??? Truly the F1 coverage this site is providing becomes more in-tents every day!! Anyone else think Smedley and Massa always work for the same team so their wives don’t get suspicious? Two things about “Odds Analysis”, I’m not sure if I understood your meaning, but I’d rather not see betting odds embedded in your pages here. Those odds are not that accurate or useful for non-betting spectators, from what I’ve noticed in seasons of playing (but not betting) F1 Pick 6, and other such games. But referencing the odds in your articles, as you do now, works well, I think. Second, regarding odds on Rosberg, Hamilton, and other drivers, while we know the Pirelli’s won’t melt like last season, tire degradation will be a factor. Hamilton’s natural driving style left him vulnerable to last year’s tires, but perhaps he won’t be effected so badly by tire deg this season. His 2014 car may be friendlier to its Pirelli’s, and perhaps Hamilton has improved his own tire management techniques as well. That really is the point Vortex. We want to compare what ‘the bookies know’ to what the TJ13 readership thinks. OK, I see your point. Perhaps a pick the podium contest? At my office, the other folks who follow F1, we all have a simple contest to pick the podium… we each pick three drivers, and whatever points our picks score then become our score… works for a few players, anyway.